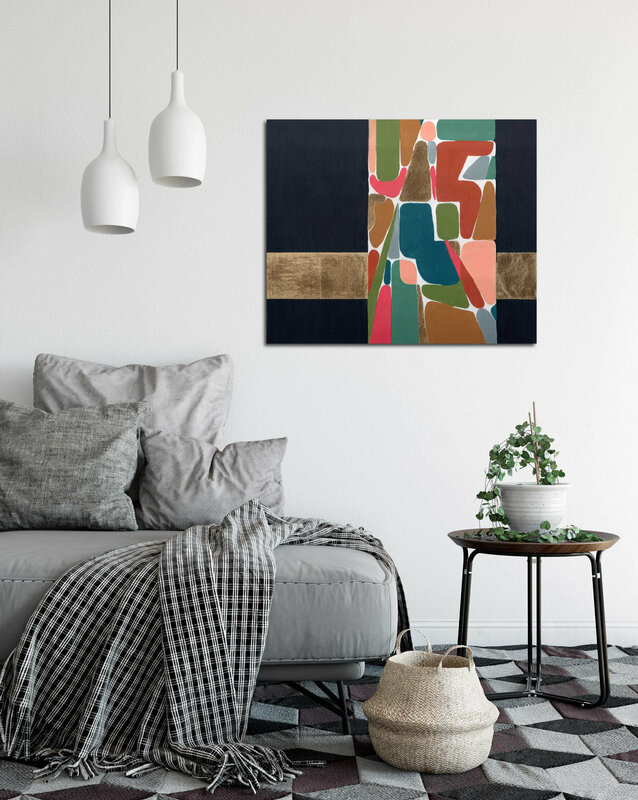 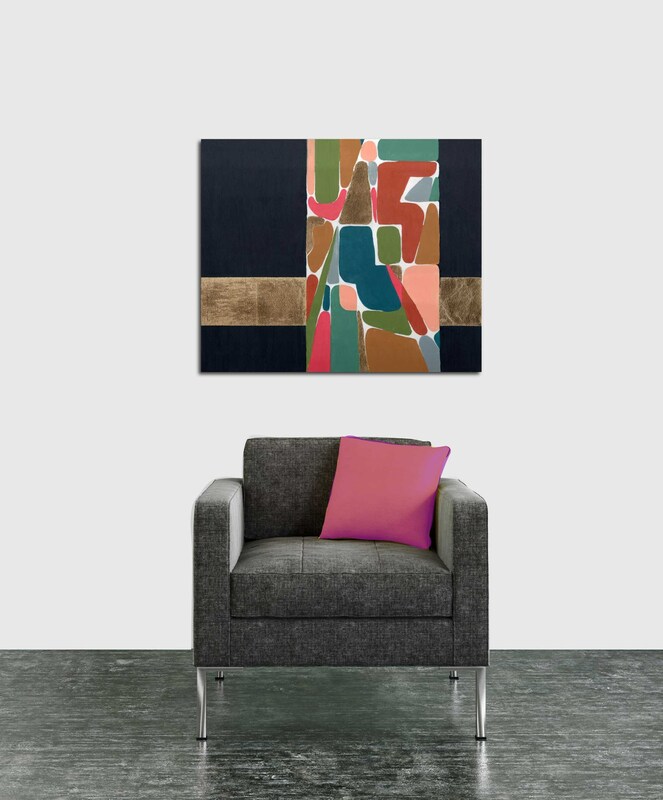 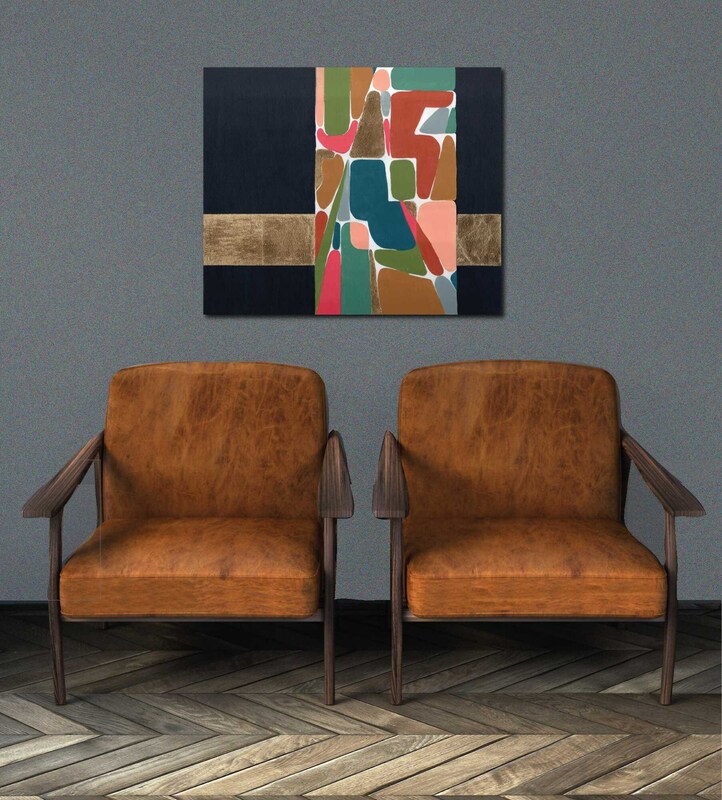 "MOD STONE" An abstract painting with a true mid century modern flair. 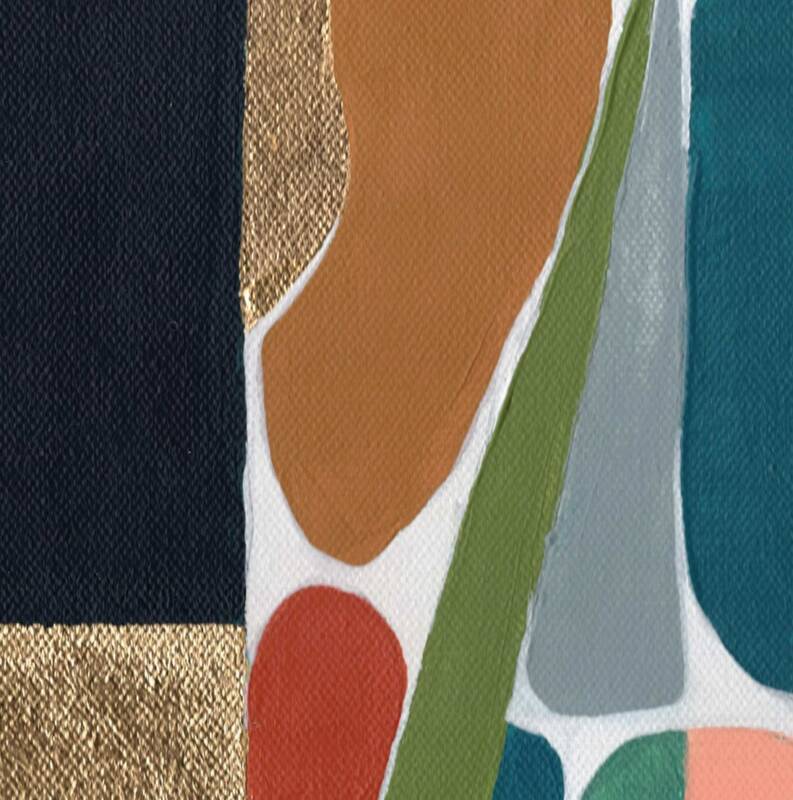 A dark blue background sets the stage for a vertical band of bright colored mid century modern shapes, reminiscent of stones. 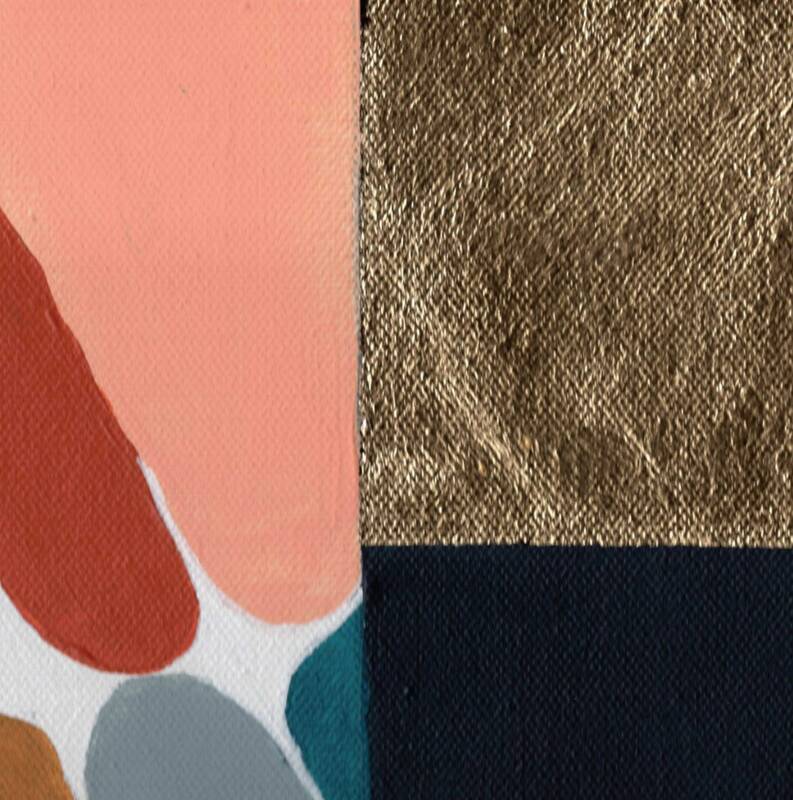 A horizontal band of gold leaf runs across and behind the stone band. 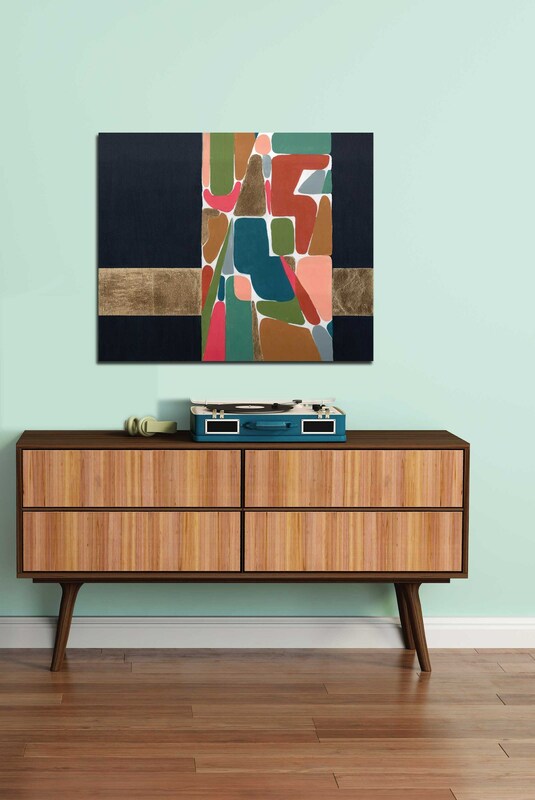 An ideal original painting offering a sophisticated mid century modern composition. 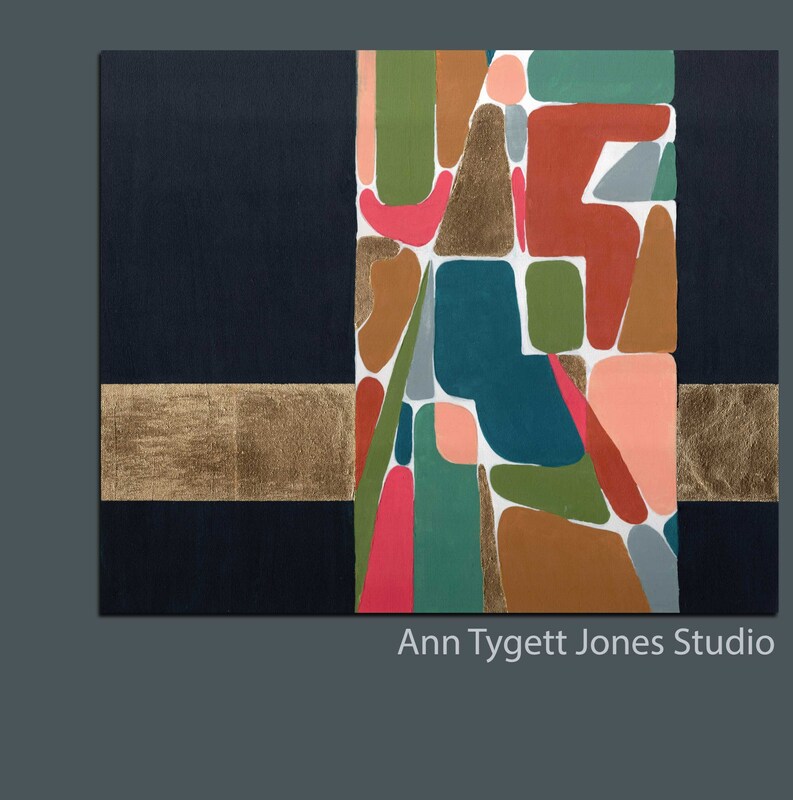 This original painting was created by Ann Tygett Jones.